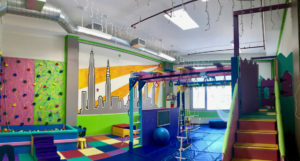 Theraplay NYC is a specialized sensory gym and therapy clinic providing Pediatric Physical Therapy, Occupational Therapy, Speech Therapy, and Play Therapy. We believe that all children are unique and deserve a treatment plan that is specific to their individual needs using fun and play to facilitate function and progress. Theraplay was created to offer a unique, fun and professional treatment space outside of the standard in-school therapy sessions. We offer an interactive play space that caters to all children and their parents. Theraplay employs experienced pediatric specialists in the fields of occupational therapy, physical therapy, and speech language pathology. We provide thorough assessments for each child prior to a formal treatment plan. This evaluation takes into account all perspectives and provides parents with a complete picture of their child’s strengths and challenges. Specific goals are then set and a formal plan is put in place to reach these goals. We believe that building positive relationships with parents dramatically increases the child’s success. Our therapists pride themselves on maintaining a constant and open communication flow with parents on each child and their progress. 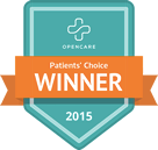 Theraplay is In-Network with United Healthcare, Blue Cross Blue Shield, and Aetna. Please contact us to learn more about how you can use your insurance.